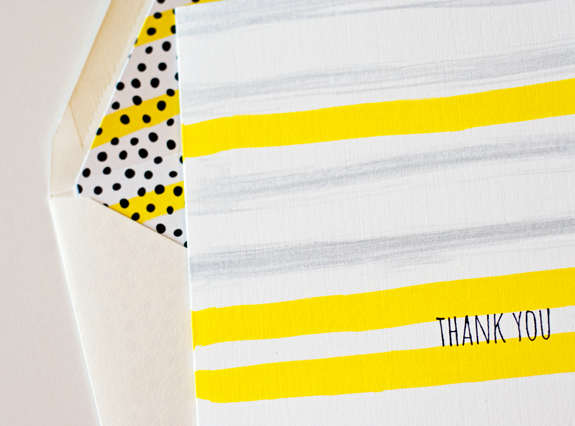 A note to each of you who takes the time to look at what I make, whether it is here on the blog, on Facebook, Pinterest, or Instagram -- thank you! MOOD WHEN DONE = Thankful! Note: I hit "publish" before finishing this post so you may have seen only part of a few sentences! 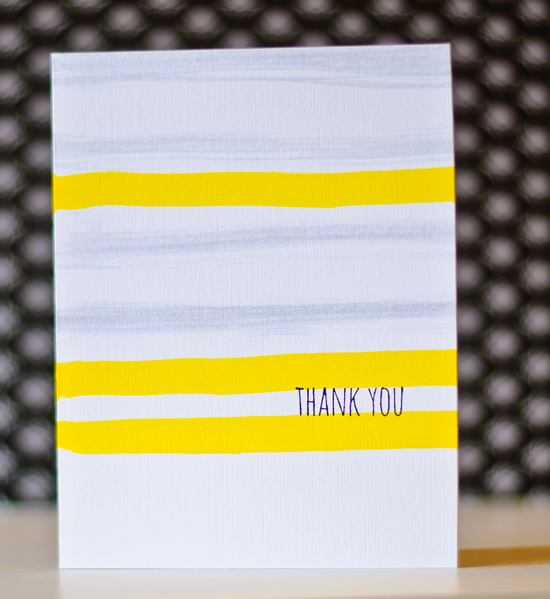 The base of this card is Papertrey Ink's Soft Stone, contrasting just a bit with the white panel. Hard to capture with a photo, but there is also a very faint Soft Stone flourish under the sentiment. Love this sentiment and the flourish, which are from an old Technique Tuesday set that my friend returned to me. 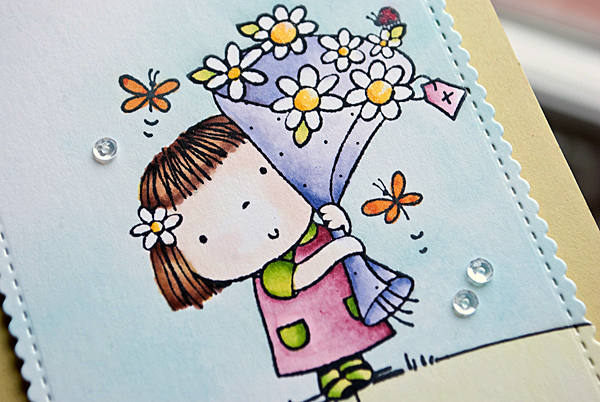 I cannot recall where I found those flower stamps. I apologize; I made this card a few weeks ago and forget to write down my supplies. Since then, we were away for a few days, so my mind is really a blank! Now that I'm back home, I need to find more time to create! Hope to see you on the 'net soon! Love fall, particularly pumpkins. And I have one, very small, pumpkin stamp. Hopefully, I'll remedy that soon. 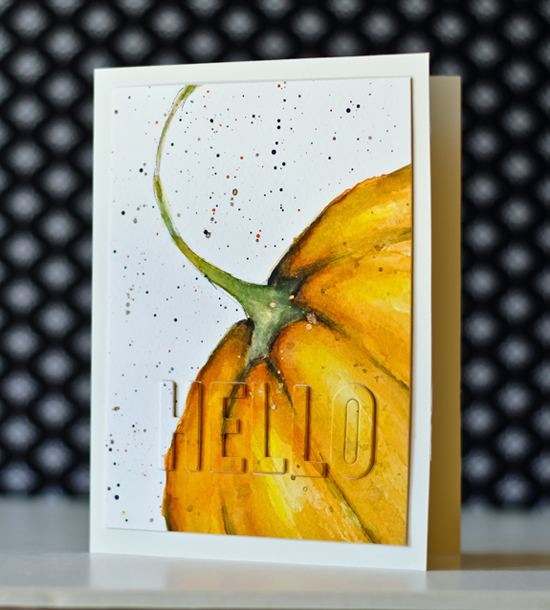 So, while I ponder this stamp season's pumpkin offerings, I drew and water colored one. I was very much inspired by this print, which I saw on Wren's Roost Etsy Shop. MOOD WHEN DONE = Hmm....I like this card; husband does not. We are a house divided!! However, am enjoying the outstanding weather. August with the windows open rarely happens around here! 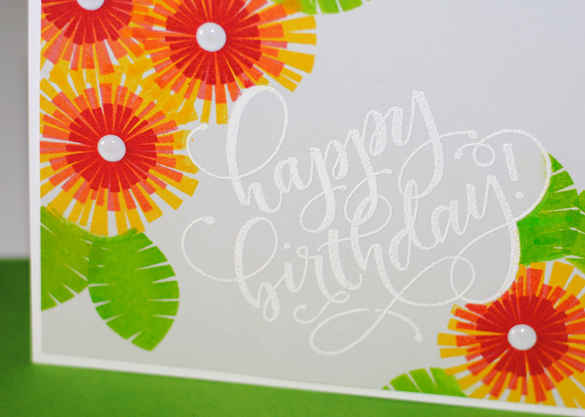 A fun birthday card, using Hero Arts Graphic Flowers and a big sentiment from Mama Elephant's Birthday Wishes. 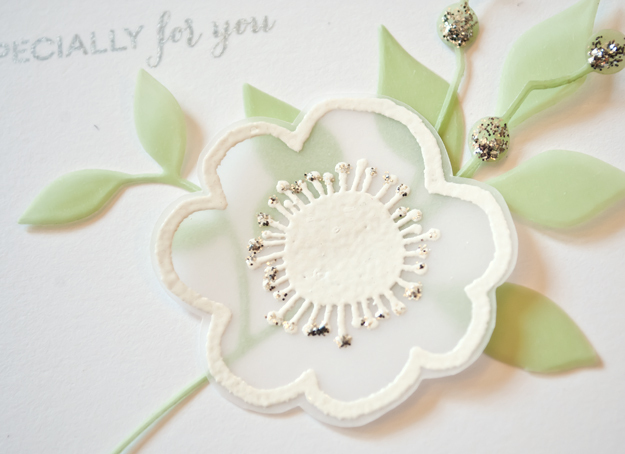 Masking Tip: In order to stamp the flowers and leaves right up against the sentiment, trim the mask so that part of the flowers stamps onto the white embossed sentiment. When done, gently dab the sentiment to remove the ink. MOOD WHEN DONE = Happy! Using up more of the July Pinkfresh Studio kit. It came with a bunch of these printed wooden hearts. And a test tube full of dark pink bling. Figure I better start using that bling! 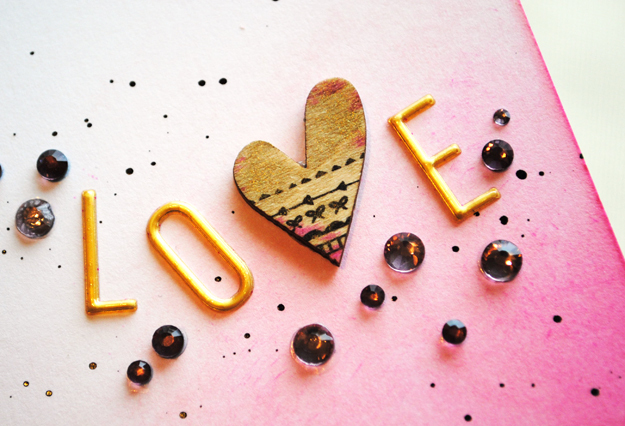 Watercolored part of the heart with gold paint and then added some pink. MOOD WHEN DONE = pink and gold is a happy thing! Good Times With the hashtag on the stamp, "good times" is trendy. 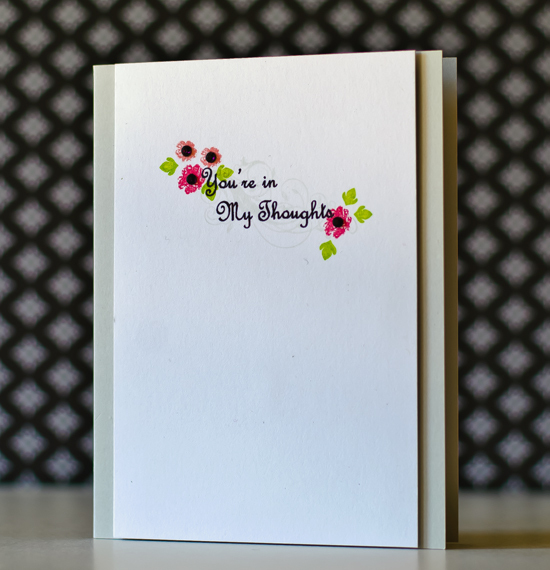 However, I've had the theme song to this 1970s sitcom playing in my head ever since I made this card. Someone make it stop! This card is for my son, who is visiting. It is such a treat to have him here as he lives out of State, and doesn't have a lot of vacation time. Filling him full of his favorite foods makes us both happy! Pinkfresh Studio July kit Stamps and gems. 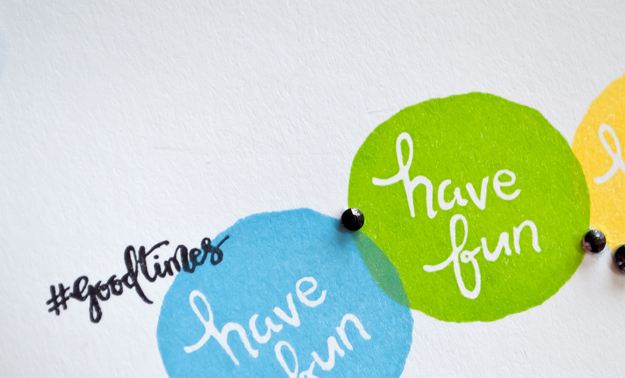 I cut off the bottom of the "have fun" circle stamp, and colored a few of the pink gems with a black Copic marker. MOOD WHEN DONE = Good!! Keeping the talk here short! It's not a Swiss Chocolate Almond Sundae by Friendly's (my childhood fave), but anything that is ice cream is a winner in the summer. Speaking of summer, school should NOT START before Labor Day. It's not right. Another card inspired by Tuesday's Take 1 photo. 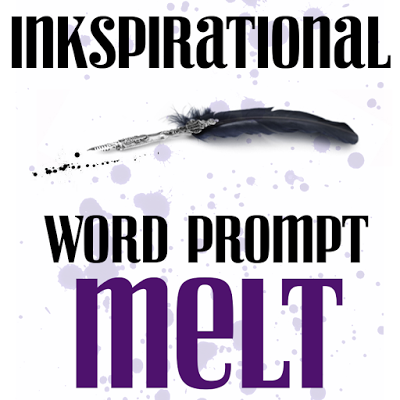 Also submitted to the Inkspiration Challenge, where the prompt is "Melt." Thanks to Carol Mayne for pointing me in that direction. 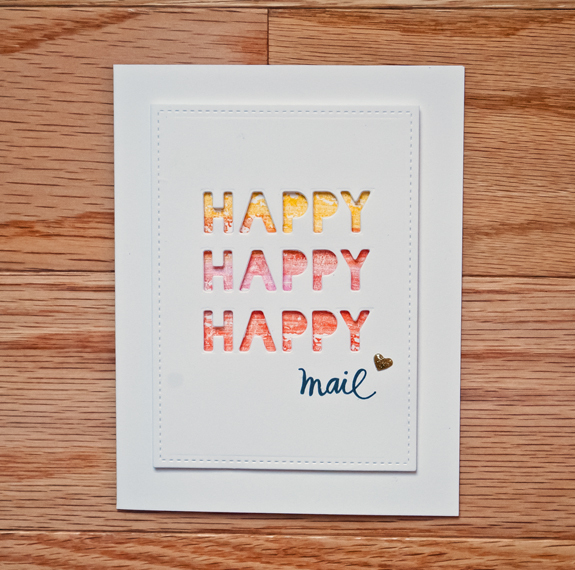 Sentiment from Pinkfresh Studios July embellishment kit. 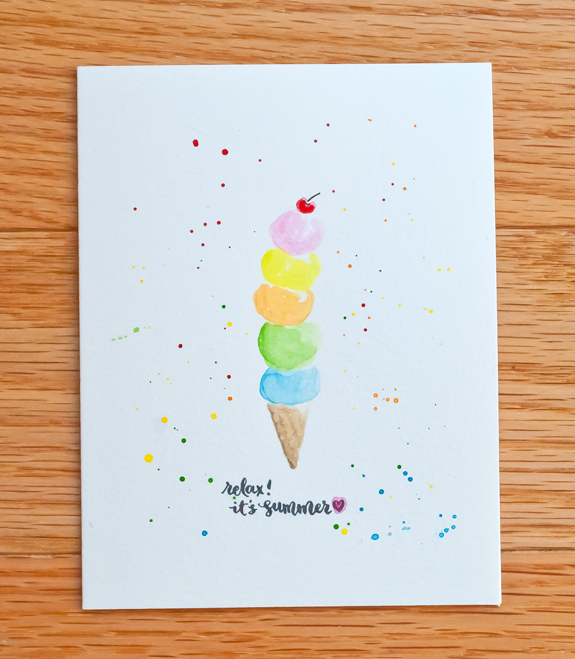 Cone, scoops, and cherry hand drawn (pencil, then erased), watercolored, and splattered by yours truly on an A2 card made out of watercolor paper. MOOD WHEN DONE = Relaxed, what else? 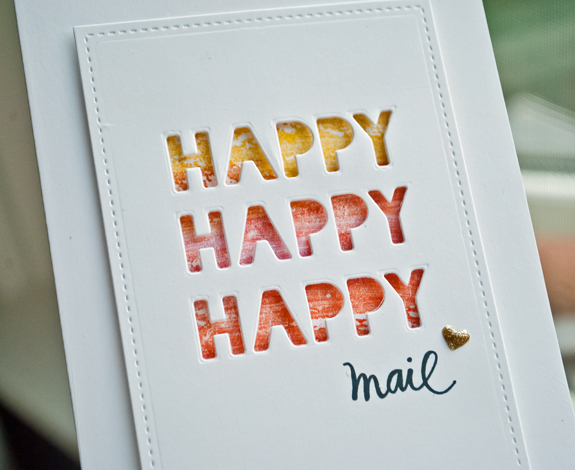 Who can resist happy mail? I got some yesterday from a blog reader and it made my day. I will be putting this in the mail today! The Happy die is one word and is from the Little B Block Out. 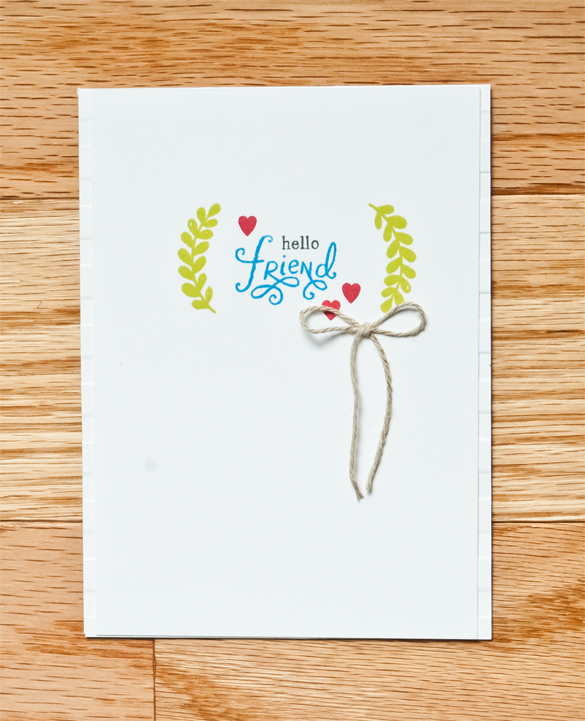 Background stamp is Stampin Up Watercolor Wash. 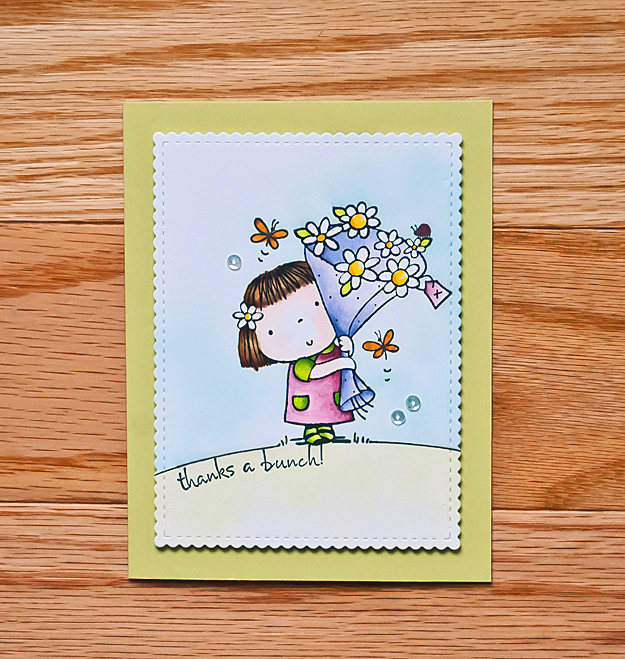 It's one big stamp that allows you to get a nice watercolor background without using watercolor paper. I colored the image with markers and than ran the paper through a misty spray (very little water) and then stamped. Using washi tape to align the die helped. A lot. This was my 3rd attempt! Rather than spell it all out (since -- horrors -- not that many folks read the details), here are a few pics to show the process. MOOD WHEN DONE = Well, I'd have to be happy! This cute young lady is part of an older Penny Black set called Betsy Bluebell. I gave away little Betsy, along with a bunch of other stamps, in 2012. However, my friend returned her, and about 39 other sets, to me earlier this month. Yes, I have 40 "new" old sets. It's Christmas in August and I intend to use most of these sets. Yahoo! Green and Blue pigment inks for sky and "grass"
Stamp image on white cardstock with Memento ink and color with Copics. 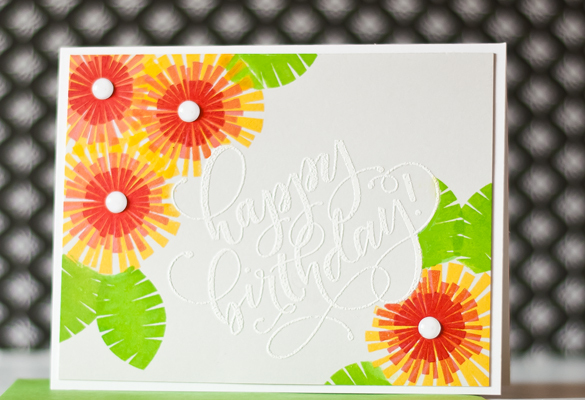 Cut with scalloped rectangle die. Stamp image on post it note and cut out with scissors to create mask. 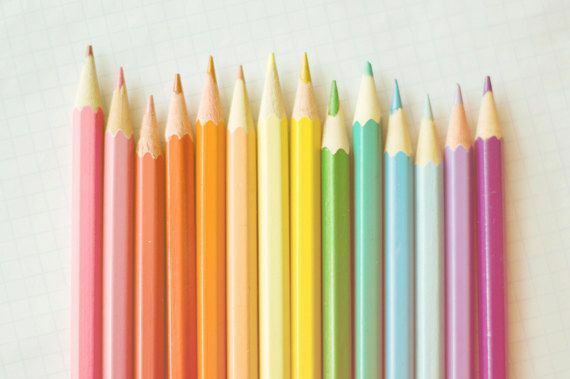 Place curve die to align with the girl's feet and draw "hill" with the Micron pen using the die as a guide. Cut copy paper with curve die and create masks for both the sky and the grass. Place mask of girl to cover that image. Add paper mask to cover grass on bottom of rectangle. Sponge aqua into onto top of image to create sky. Hope for the best! Remove mask on the bottom and replace with mask of the sky. Sponge bottom with green ink. Add Wink of Stella to daisy centers. Adhere sequins. Again, hope for the best. 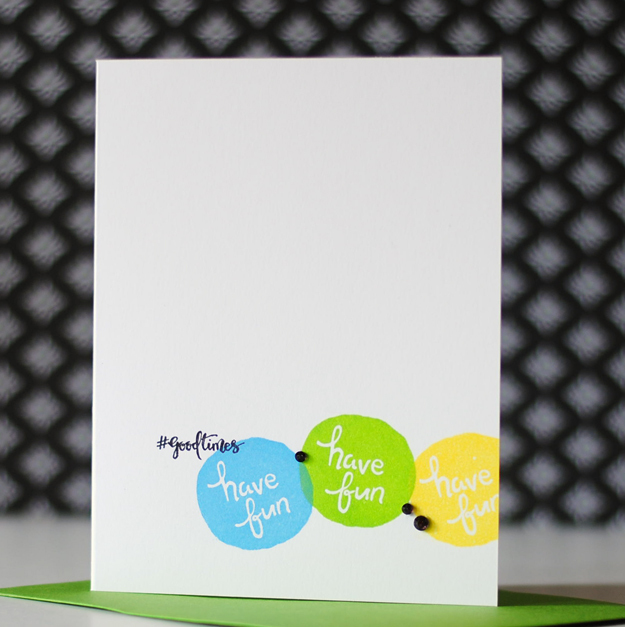 Create green A2 card, score, and run through Big Shot (folded) to create flat card. Adhere image panel to card with dimensionals. MOOD WHEN DONE = Sweet! 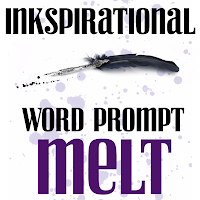 It's my turn to be the Muse on the Muse challenge blog. This is the time of year when I can't make a thing. I'm into organizing the craft room or eating fresh tomatoes. 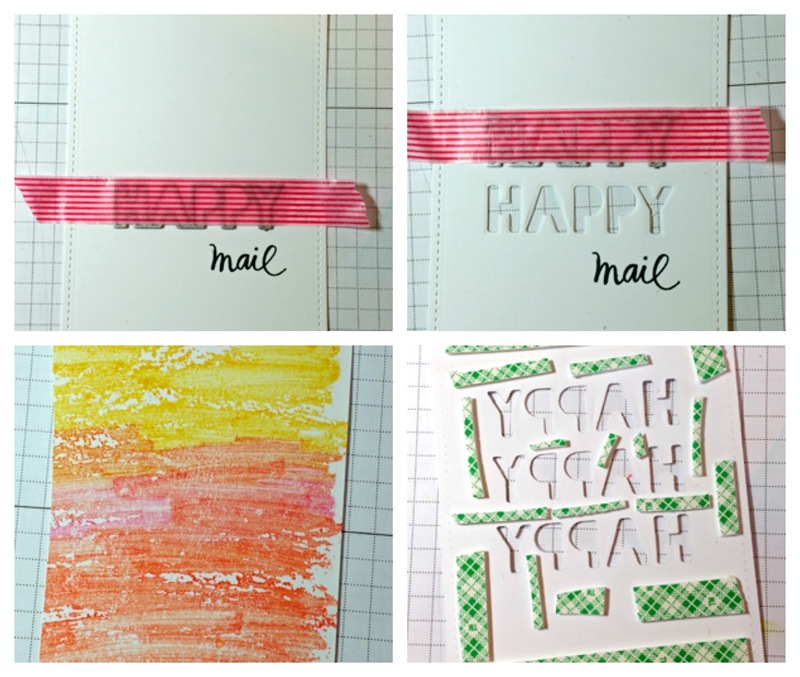 Stamping and August rarely mix. So this was a struggle. At one point I imagined tossing all my supplies off our terrace balcony -- imagine a sea of paper and ink and stamps and a Big Shot sailing over the railing! Don't laugh -- it was 3 years almost to the day that I gave away most of my stash (only to receive back about 40 sets this weekend from one of my stamping friends. It's like Christmas here, but now I have to find somewhere to put them). Rather than toss it all, I turned to page 16 of the current Stampin Up! catalog and CASED a card, using my own supplies. Highly recommend purchasing this catalog regardless of whether you want to buy SU supplies -- it is full of professionally designed papercrafting and worth the $$. I added a dry embossed layer and some twine but otherwise stuck pretty close to the card. You can find a link to a pdf version of the catalog here if you don't have a hard copy and want to check out the card I CASE'D. It was fun searching my stash for supplies similar to the one used in the catalog. 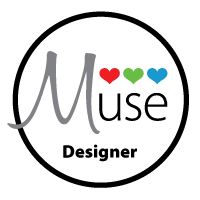 I hope to see your creations on the MUSE challenge this week, inspired by my knock off! 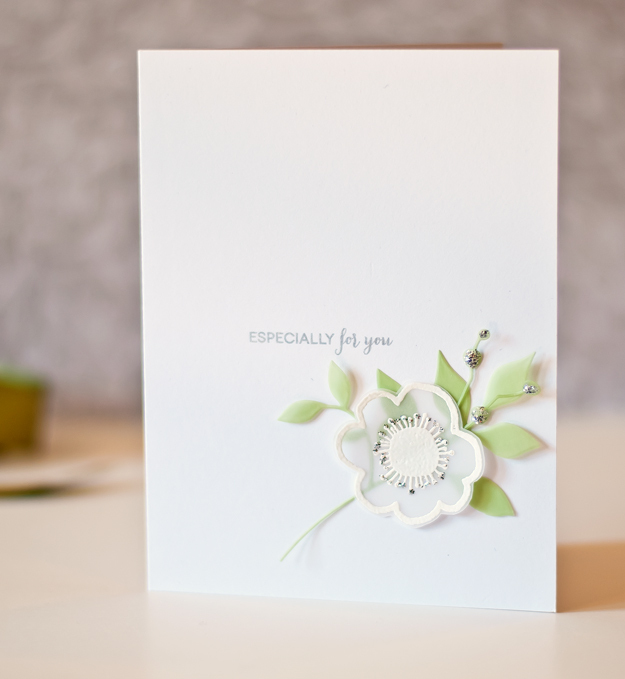 WANT TO MAKE THIS CARD? Trimmed cardstock to 5.5" x 4". See you back here in a few weeks! 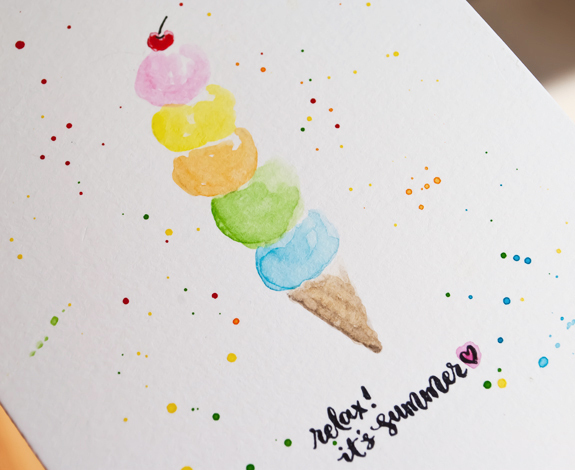 Hope you are having a great summer and enjoying, or at least tolerating, the heat. It is supposed to be in the upper 90s today (husband loves it/I hate it! ).